DOWNTOWN — A "rotted" Old Town house allowed to decay by the owner was cleared for needed repairs Thursday in housing court at the Daley Center. 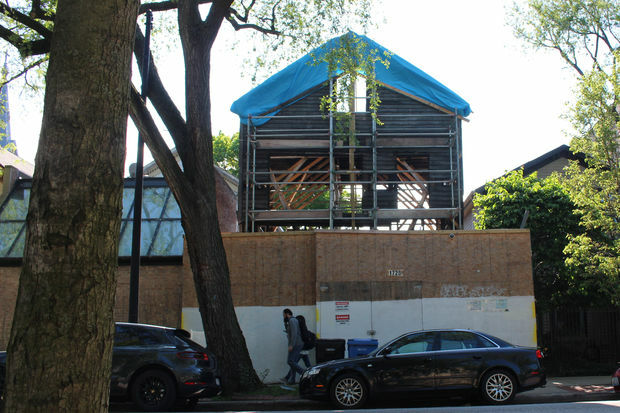 The Commission on Chicago Landmarks approved a new basement and foundation for the building at 1720 N. Sedgwick St. earlier this month, and city attorney Greg Janes said Thursday that he expected an emergency building permit to be approved before the end of the week. The commission also called for oversight on the repairs, however, and Janes proposed that the designated receiver that stabilized the building, CJR Realty, would monitor the work. Hugh Howard, attorney for building owner Joseph Younes, said he had no objections. The city issued a stop-work order on the building this spring after it was discovered Younes and his contractor had exceeded the parameters of a building permit and removed the roof without permission, leaving the house in the Old Town Triangle Historic District exposed to the elements. Although Ald. Michele Smith (43rd) charged that Younes did that deliberately so that he could demolish the house and build fresh, Younes has insisted the house "rotted itself" and that he intends to restore the building as it was, and the Landmarks Commission has accepted that. Younes, however, still faces the threat of hefty fines that could top $150,000 for violating city building regulations and preservation measures in the Old Town Triangle. There was no talk of fines in court Thursday, but the subject figures to come up again at the next hearing set for Aug. 31 before Associate Judge Patrice Ball-Reed. Howard opened Thursday's hearing by saying, "I don't see any pitchforks or scythes, so I guess it's safe to step up." "Get out the pitchforks," Janes jested. Otherwise, Howard declined comment on the matter.